Players can bring the game's most eye-catching weapons into multiplayer battles after completing a series of trials. 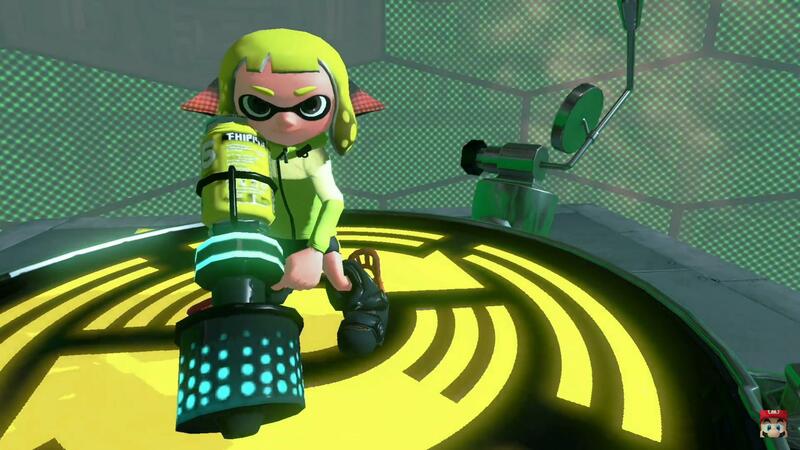 Even though one of the biggest draws to Splatoon 2 is its frantic multiplayer battles, the game's single-player campaign holds several key items for players looking to stand out in the competitive arena: Hero Weapons. Hero Weapons are alternate versions of the game's normal weapons, and players can only use them in competitive multiplayer after completing a series of lengthy and challenging trials. Read on to discover all the requirements that must be satisfied in order to unlock the Splatoon 2 Hero Weapons in the game's multiplayer mode. • Lair 1 unlocks the Hero Shot. • Lair 4 unlocks the Hero Roller. • Lair 5 unlocks the Hero Dualies. • Lair 6 unlocks the Hero Charge. • Lair 10 unlocks the Hero Slosher. • Lair 13 unlocks the Hero Splatling. • Lair 19 unlocks the Hero Blaster. • Lair 20 unlocks the Hero Brella. • Lair 22 unlocks the Hero Brush. Once the Hero Weapons have all been unlocked, players can use them any time they like during the single-player campaign, assuming they aren't during any of Sheldon's weapon-specific tests. That doesn't mean they're ready to bring into the online arena, though -- for that, players will have to gear up for a new challenge. Nintendo Switch players who want to make a show of their Splatoon 2 prowess by bringing Hero Weapons in the multiplayer arena will have to face some daunting trials. There's only requirement to unlock any given Hero Weapon in online battles -- players must successfully complete all 27 lairs using that Hero Weapon exclusively. That's right, unlocking the likes of the Hero Roller means players must take down all 27 lairs, including each of the bosses, using only the Hero Roller. This also means that unlocking all nine Hero Weapons for use in online multiplayer means players will have to run through all 27 lairs a total of nine times, each time using one specific weapon. Still, with the challenge so high, any player who slinks into a Splatoon 2 online match with a Hero Weapon will instantly become a potent ally or a feared adversary. Taking down 27 lairs with one specific weapon is more than enough to display a player's weapon proficiency, and Hero Weapons allow players to wear their prestige openly for all to see. Looking for more in-depth Splatoon 2 knowledge? Head on over to our Splatoon 2 guide hub for all of the latest tips, tricks, and strategies.